Japanese “Kirishima” battleship in preparation for the Sino-Chinese war. “Congo” The battleship was photographed after the second modernization of the battleships of the “Congo” class, during which not only the appearance of the ship’s superstructures was changed, but the power plant was completely replaced (power increase from 64,000 hp to 136,000 hp) , changed the rise of weapons. In addition, they strengthened the barbets bookings and installed a new system of quick counter-flooding. As a result of these and other alterations, the Kirishima battleship displacement increased from 31,780 tons to 36,610 tons, the length increased by 7.6 meters, and the draft increased from 8.6 to 9.7 meters. 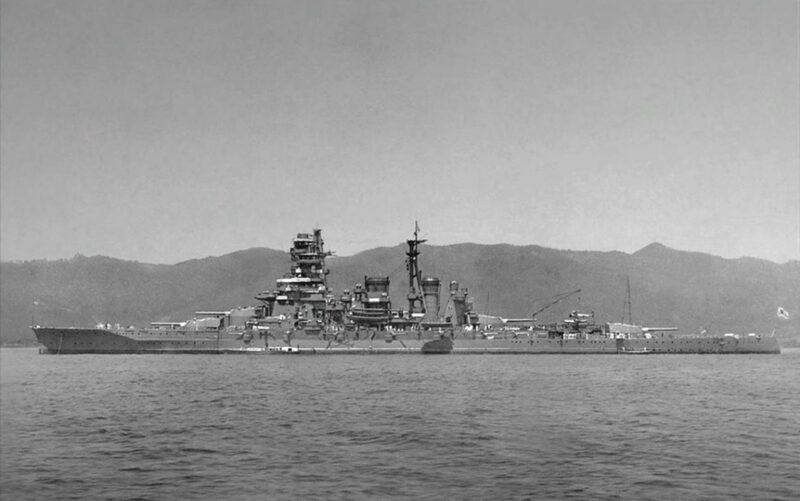 The main observing seaplane of that time, Nakajima E8N “Type 95”, according to the Allied classification “Dave”, was installed on the “Kirishima” battleship’s catapult.